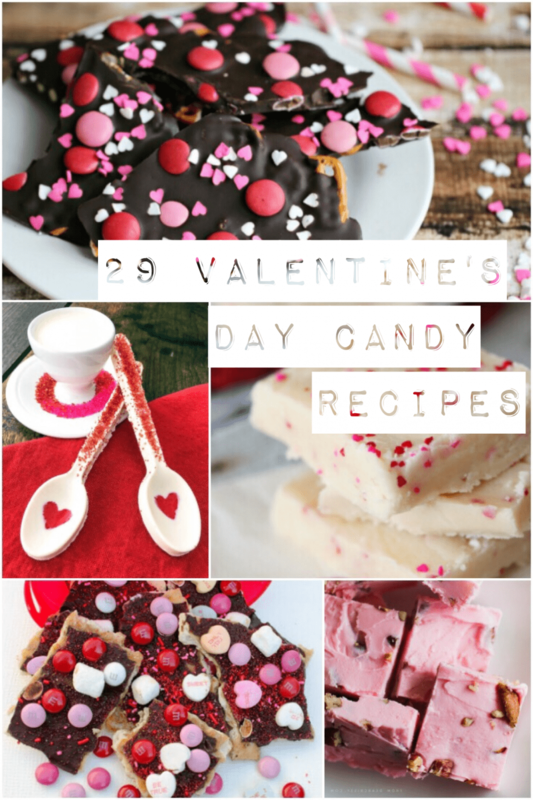 Looking for chocolate candy recipes and other goodies to make for Valentine’s Day? Feast your eyes on some of these scrumptious creations. It’s fun to make gifts for Valentine’s day and chocolate candy recipes are something you can get the kids involved with, too. Of course, any of these recipes can be modified and be perfect for any holiday or any random day. Which one of these chocolate candy recipes looks best to you? I would love to try the White Chocolate Spoons for Valentine’s Day! Wow! These recipes are very enticing. I would especially love to try the Chocolate Coffee Truffles. Yum!! Thank you for featuring my Valentine’s Day Candy Bark. I have shared this across social channels, including scheduling it for Pinterest board over the next 2 weeks. My pleasure! Thanks for making yummy things! 🙂 And for sharing!!! These recipes sound divine, will definitely have to try them. I love any Valentine’s Day and Chocolate Candy Recipes! They are all so much fun and colorful too! So many great recipes! They look so yummy! Oh this is amazing! The candy with the marshmallow insides looks to die for! I am definitely going to have to put some of these on my to make list! Candy Spoons! What could be more charming! Lots of fun things to make. Sugar overload!! i had to pin this! awesome collection of recipes. i like that there are a bunch for different skill levels.